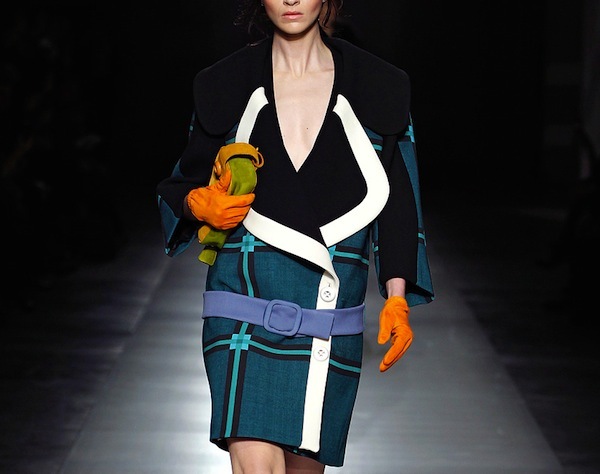 There were many things at play in the Prada fall collection but my favorite things were the bold blown-up plaids and all over textures. 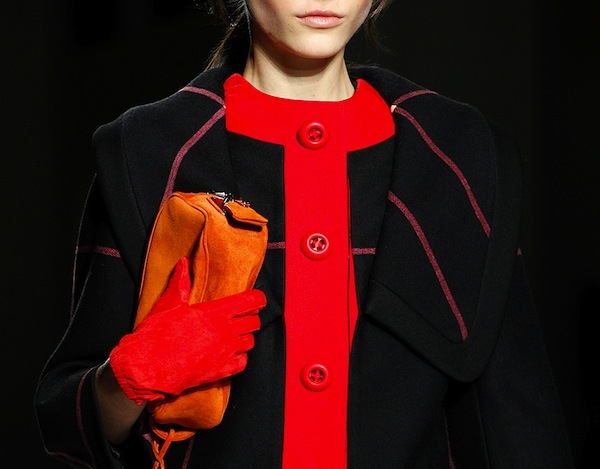 The oversized collars with an indirect mod feel, big buttons everywhere, a quiet sense of propriety but really fun. The same silhouettes are completely converted when covered in paillettes the color of the ocean or maybe a maize, magical fish and also Falcor. 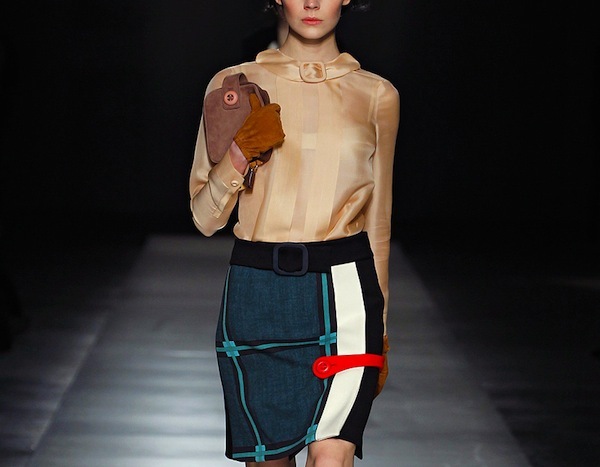 The interplay between this collection and Miu Miu was really interesting this season. There were some similarities in the conservative silhouette that evokes the mid 20th century and I think that's the main message from the collections this season. More is less and seduction is not about skin but about the newly created surfaces. Looking at all these close-up images together the collection might not even make a lot of sense; there are mis-matched 70's colors, ethereal nature tones and clean whites but there really is a story being told in a larger sense. 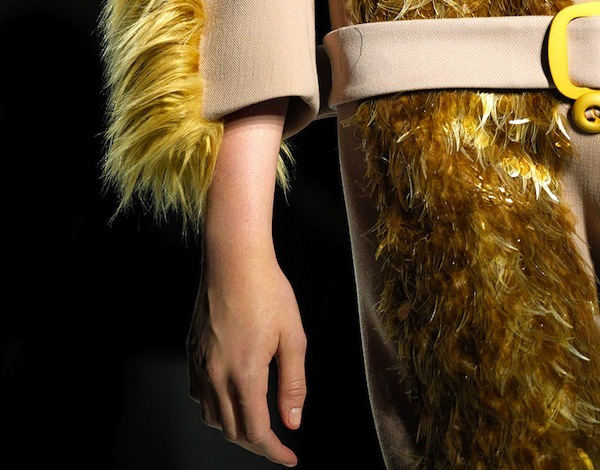 Something about an urgent femininity that explodes in in a mix of everything. Something about practicality and being a woman on the go. You know, business at usual at Prada. Wow the paillette dresses are beautiful!!! Beutifluy described! I love the closeups! Thsank you for sharing. woah i really like those buttons. those scale dresses remind me of The Rainbow Fish story book! Love the paillettes! 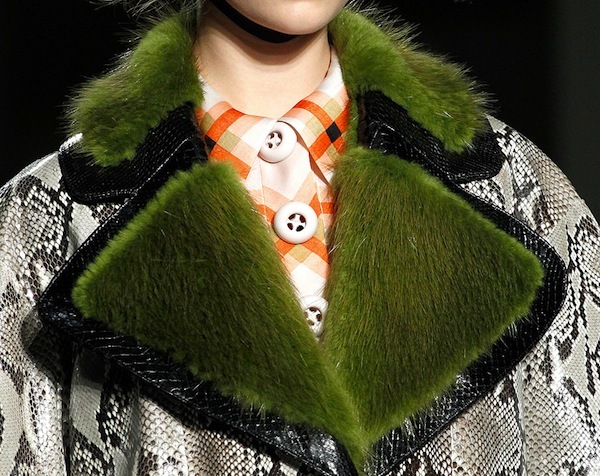 Prada did paillettes? cool! Your right I see prada going toward the high power female figure in the 40's. 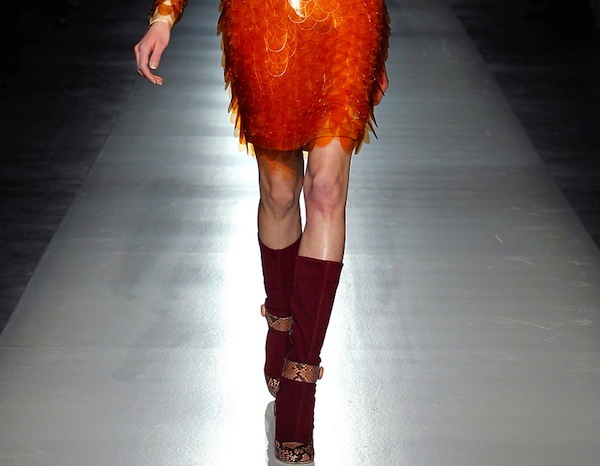 I love how Miuccia can go from one extreme to the next when it comes to Prada. that women is a genius. I find her being a god like Karl Lagerfeld. It's weird to hear her talk because she is just so powerful. wow that was quite a rant! love the new look but miss the eclectic color to your old layout!